The Department recently collaborated with Oxford University Press on an exciting digital publishing project. 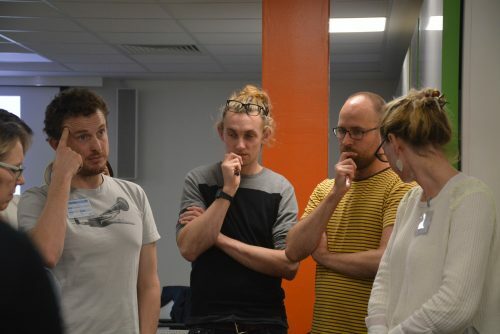 OUP’s brief gave final year students an opportunity to explore the challenges and possibilities of user-centred design for evolving digital platforms. Laura Marshall, one of our Part 3 BA Graphic Communication students, presented her dissertation research at the Reading Braillists meeting. Part 2 students who opted to design book covers for Oxford University Press in their design practice module were lucky enough to be given the opportunity to visit OUP headquarters in Jericho, Oxford. Have you thought about doing a PhD in Typography? If you have any ideas do get in touch with Sue Walker for an informal chat, and to discuss funding opportunities. Why not join us as an AHRC-funded Design Star student? Our Graduate School at Reading is excellent, and provides a stimulating environment. And the experience we provide in Typography is world leading, not least because much of our PhD work is supported by our outstanding collections and archives, and the research training we provide. Penny Mordaunt, MP visited the University to meet our Breaking down Barriers team. 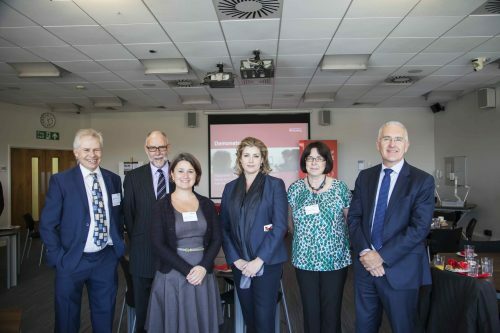 Yesterday, Penny Mordaunt, Minister for Disabled People, Health and Work visited the University of Reading to find out more about our transformative Breaking down Barriers (BdB) project. BdB focuses on embedding inclusive design in our curricula across the University. 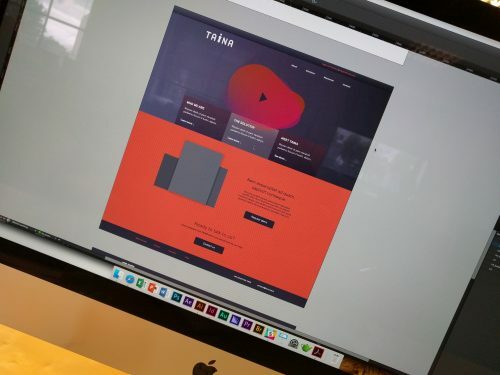 Typography have been highly involved in the project from its inception and were proud to present the ways in which we are engaging with inclusive design across a range of applications including digital, print and wayfinding design. 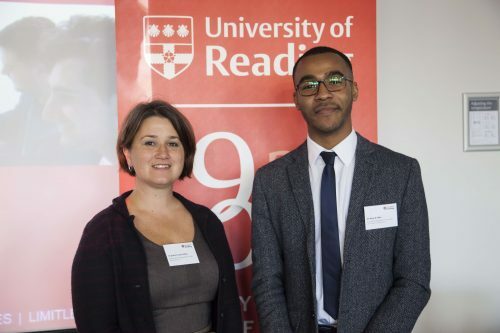 In particular, we were pleased to welcome Ryzard Akita, one of our 2016 graduates who is now working as a user experience designer, back to Reading. Ryzard presented his final year self-directed project – an innovative mobile app for visually-impaired users – to the Minister. Some of our recent MA and undergraduate dissertations on inclusive design were also on display for the event. Ribbon-cutting ceremony in the Art Department gallery. The Department of Typography did not get the memo that July is supposed to be a quiet period. We kicked off the month by hosting the KSBDA International Invitational Exhibition, its first stop after Seoul, and on its way to Katowice, Poland. The exhibition, attended by members of the current Board of the KSBDA and several past presidents, was held with the kind collaboration of the Department of Art. The visitors had the opportunity to examine material from the Collections in Typography, and discuss their use in teaching. Professor Michael Twyman delivering the opening keynote at Thessaloniki. The second week of July saw many staff, research students, and postgraduates fly off to Thessaloniki, to take part in the 6th ICTVC conference. The triennial event is spearheaded by alumnus Dr Klimis Mastoridis and aligns closely to the research strands of the Department. Several members delivered papers, and Emeritus Professor Michael Twyman delivered the opening keynote. 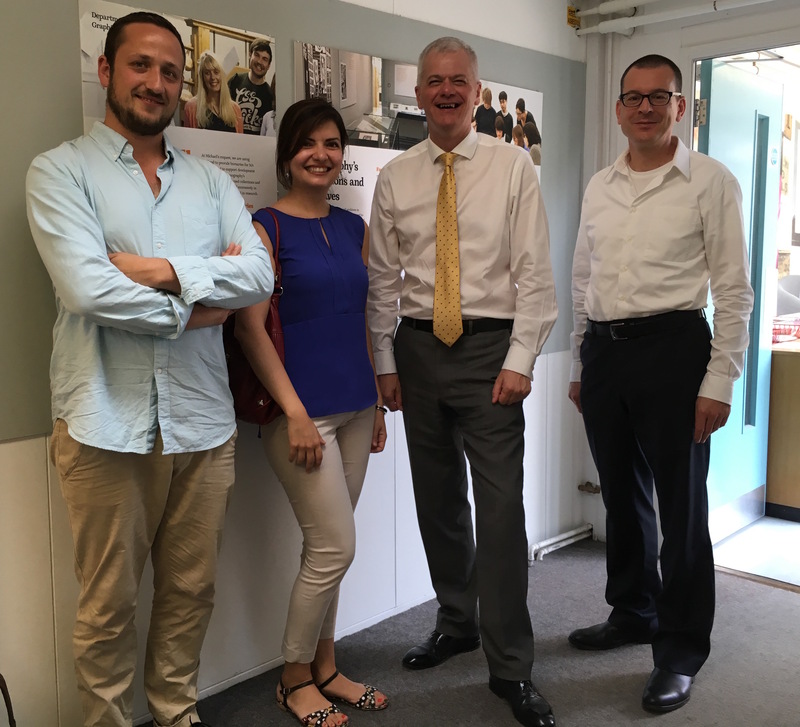 Celebrating the Monotype Studentship, from left: senior designer Malou Verlomme, Type Director Dr Nadine Chahine, the VC Sir David Bell, and Head of Department Professor Eric Kindel. Back in Reading, we marked the tenth anniversary of the Monotype Studentship, a substantial initiative in funding support for our postgraduates. The Studentship is only one element of our deep collaboration with the company, which stretches from research support to technical training. Over the two last weeks of July the Department was taken over by the annual TDi summer course. The international cohort (with participants from Bangladesh, Brazil, Canada, Dubai, India, Jordan, Korea, Malaysia, UAE, USA, as well as European countries and the UK) spent long days in sessions led by several members of the Department’s staff and student community, working in our studios, with material from the Department Collections, and personal staff collections. 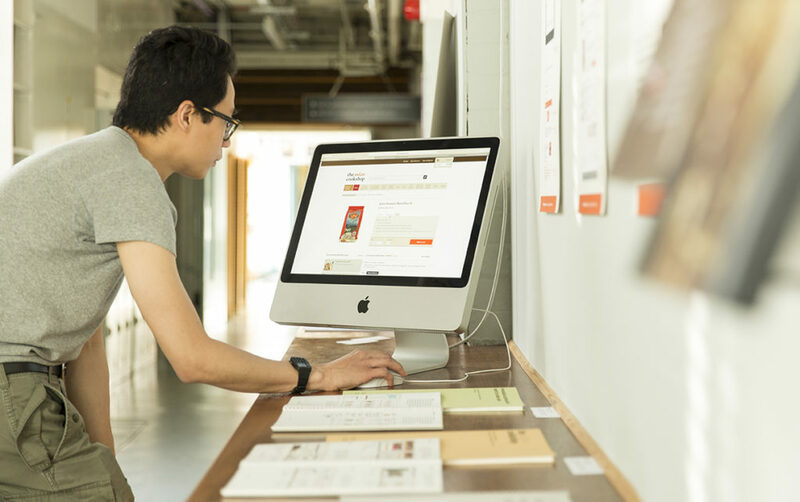 Through lectures and seminars, to hands-on sessions with archival material and letterpress equipment, the TDi provides a unique distillation of key areas of the Department’s narrative on typography and typeface design. 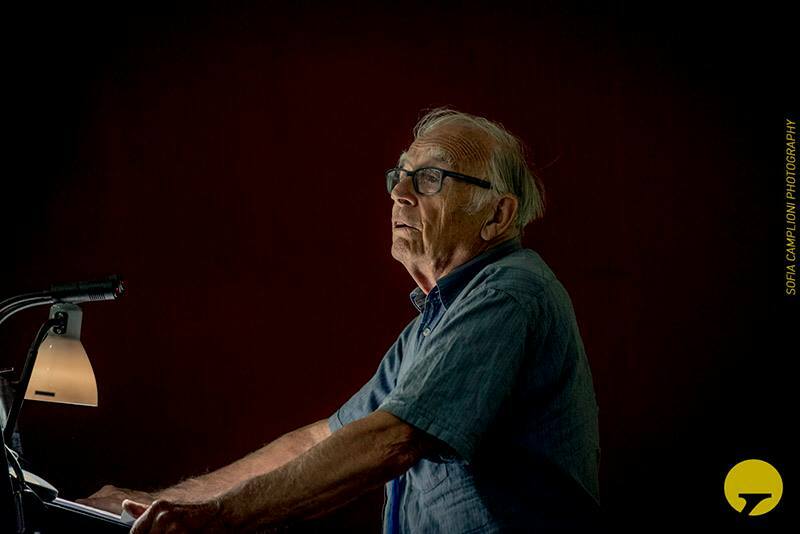 Marek Jeziorek documented this year’s course in several albums, starting here.